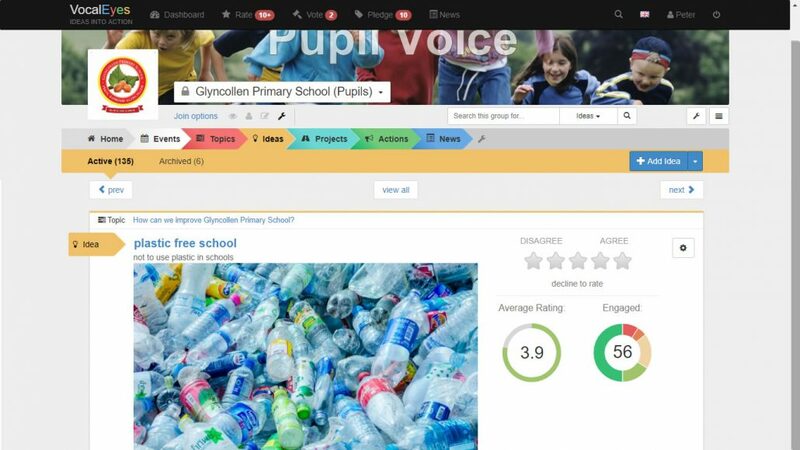 The children had prioritised ‘going plastic free’ on the VocalEyes Pupil Voice platform. 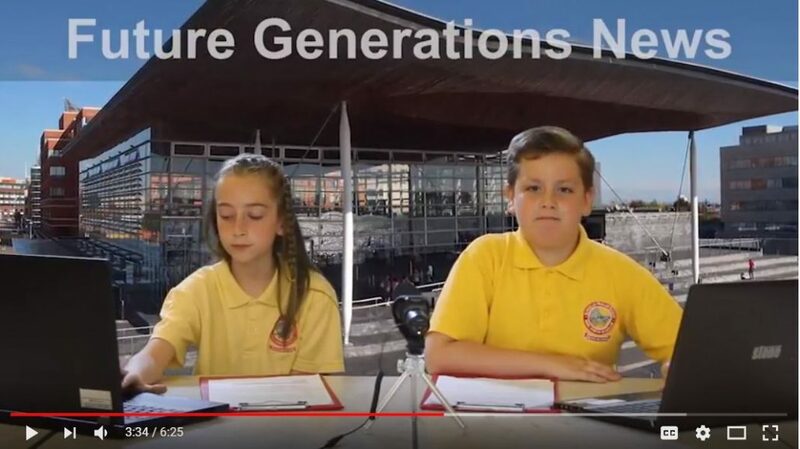 They had been affected by watching ‘Blue Planet 2’ and the harrowing pictures of strangled seals, trapped turtles or birds dying of starvation with their guts full of plastic and were moved to respond by putting forward proposals to reduce plastic use in their school. 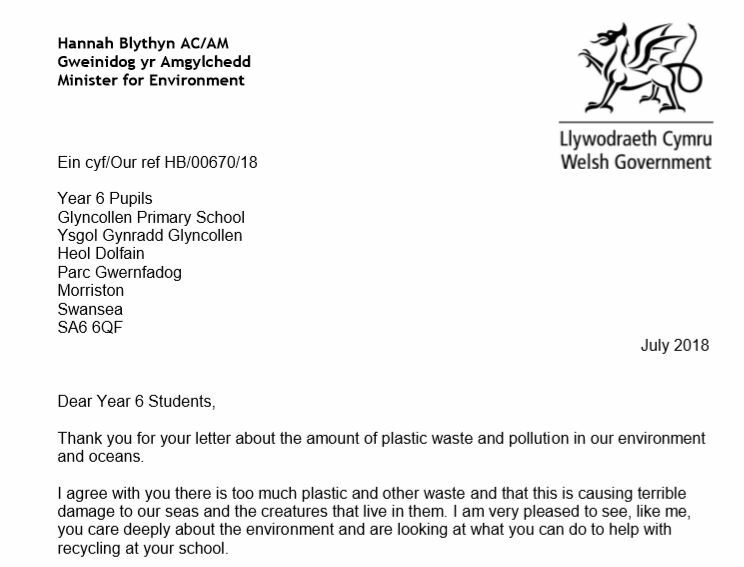 Hannah began her response to the children by telling them how pleased she was that they cared so deeply about plastic waste causing “terrible damage to our seas and the creatures that live in them”, and for all their ideas about recycling plastics in the school. Hannah gave the children some important information to help them with their campaign. 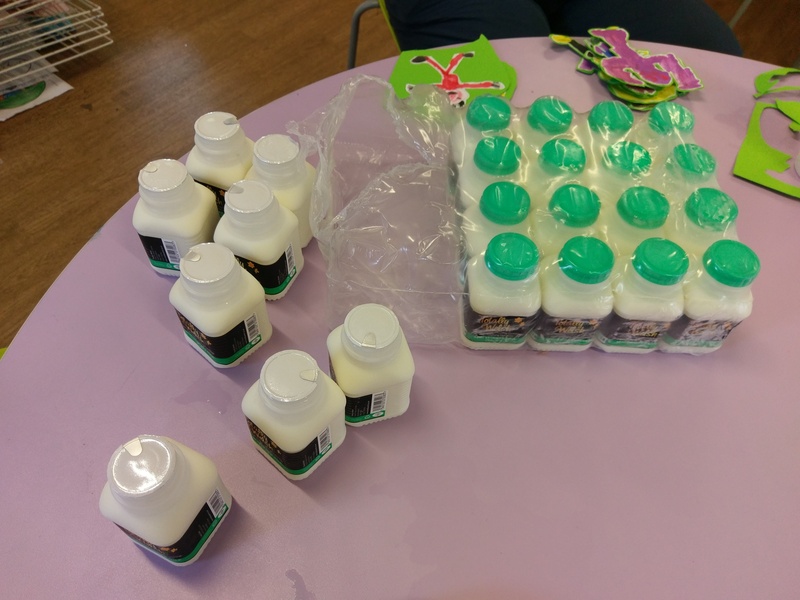 The children want to stop the use of 150mm bottles to supply the free milk entitlement for children in the Foundation Phase. The children want these small bottles to be replaced by 2 litre bottles from which the 150mm per child can be dispensed. Hannah recommended that they ask Swansea, the local council who buys the milk, to consider other ways of supplying it. 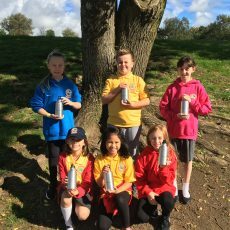 Rather than just wait for action, the children are already raising money to buy every child in the school a stainless steel bottle for their milk, so their arguments are already strengthened. 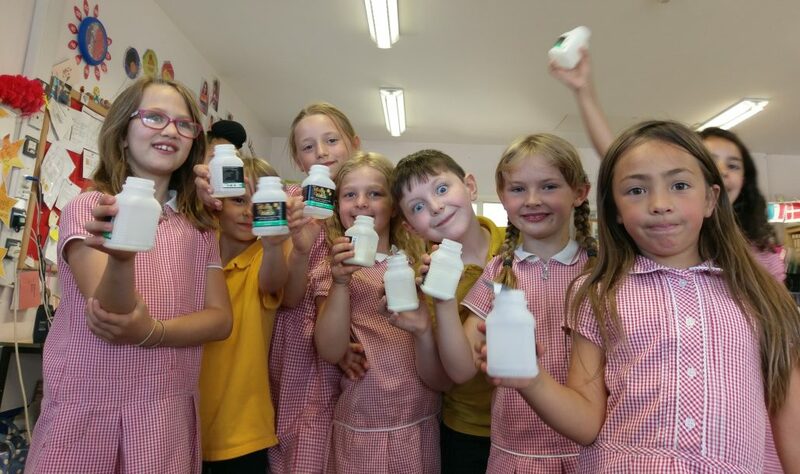 Hannah said she would be very pleased if the children at Glyncollen would ask Swansea council to talk to the people who provide the milk to think about other ways of packaging the milk for schools. 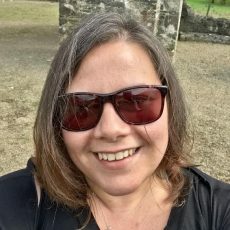 She could see the potential reduction in plastic waste that could come about if the children’s campaign was put into action. 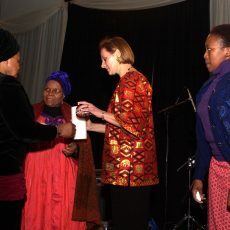 “We want to encourage them to buy recyclable plastics and to dispose of it properly in plastic recycling bins. This should help your council reduce the amount of plastic it buys. 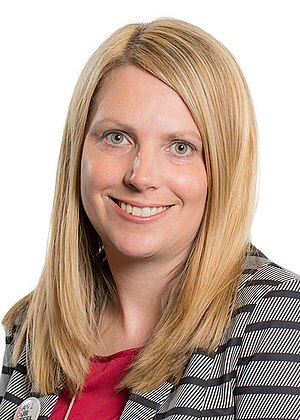 The Welsh Government is happy to work with councils and companies to help suppliers think about different ways of providing milk and other products. This way, they might stop using non-recyclable plastic straws and packaging as well as consider other ways that help the environment”. It is lovely to see the Minister inviting children to be an active part of local democracy. 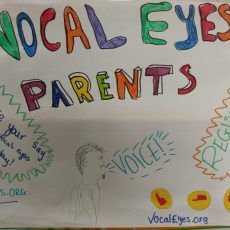 This is especially exciting for us as the key rationale for VocalEyes is to introduce children and their families to participatory democracy at local and national levels. 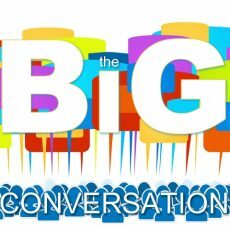 We believe that if young children start asking questions of their local representatives about the things they are most concerned about and if those authorities respond positively, they will grow up believing democracy matters and want to be an active part of it. We don’t underestimate the importance of Hannah’s response to the children. 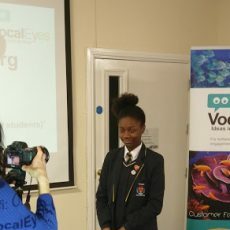 She has demonstrated that she takes them seriously as young citizens; she agrees with them, she welcomes their support and is able to give them help and advice about how to take their campaign forward. 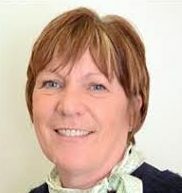 She has invited the children to work in partnership with her to create a better world – that is a very intoxicating invitation for these 10-11 year olds and will be important in shaping their attitudes towards the democratic process over their whole lives. 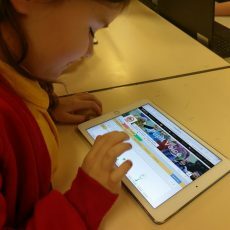 Hannah also provided some very interesting information for the children on the progress the Welsh Government is making through improving the recycling infrastructure and assured them of the government’s “commitment to reducing, reusing and recycling right across the country”. Again, knowing the government is also working hard on the issues the children care about is reassuring for them. 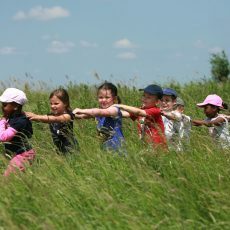 Sometimes environmental issues can be overwhelming and disempowering for children. These children know that the adults in their school and their government representatives understand their concerns and are doing something about it. The depressing picture is thus mitigated by hope as the children see adults working hard to make the world a better place. We know that people respond much better to good news stories than those focusing on the bad things happening in the world. 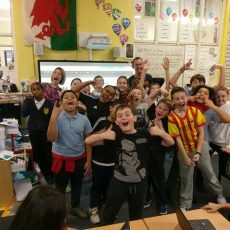 In this blog we think the information Hannah provided for the children will be of interest to other schools working on reducing plastics so we are passing on to our readers the facts about Wales that Hannah shared with the children. Wales leads the United Kingdom (UK) on household recycling and recently became third best in the World. 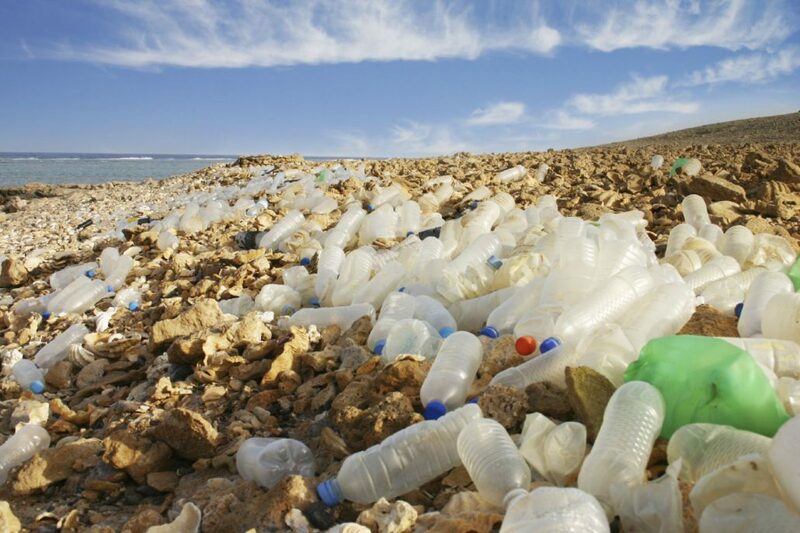 Whilst this is surely good news, we should not forget that in reality less than 10% of plastic bottles are recycled and MOST of the 3 million bottles we throw away every day end up in the oceans – out of sight, out of mind. So there is no room for complacency. 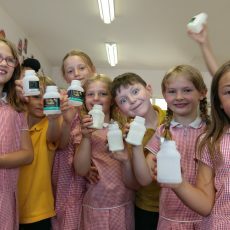 Hannah told the children of her ambition for Wales to become the first ‘Refill Nation’ in the World: “A Refill scheme will be introduced into every community along the Wales Coast Path within a year so people can get fresh drinking water in more places, without having to use too much plastic”. The return of public drinking fountains in every town and city of Wales and in particular along the coastal path would be a wonderful move forward. It would provide water as a right for all and encourage everyone to carry re-useable bottles wherever they go with the knowledge that they can refill them at any time. This is even more important for Wales because we have an 870 miles coastline that people love to walk. The discarding of single-use plastic bottles on coastal walks where they so often end up in the ocean is a key problem. Even when they are put into bins they can be blown by the wind into the sea. 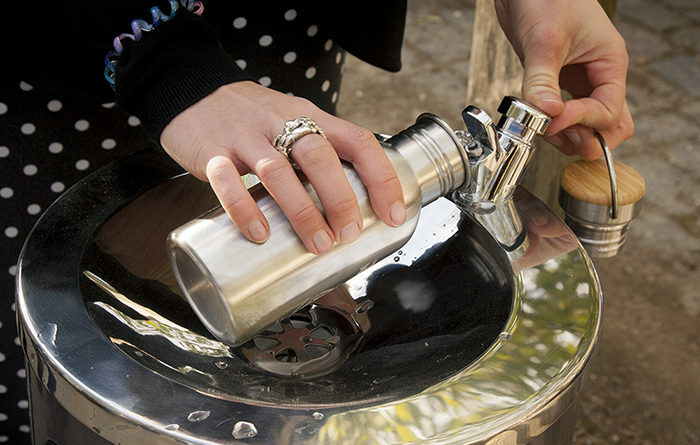 The provision of water fountains is essential to make sure people can fill their reusable bottles. And when these are made of stainless steel they offer so many other benefits: they keep the water cool and they last for life. Hannah reminded the children that Wales was the first nation in the UK to introduce a 5p charge on the use of plastic carrier bags in 2011. 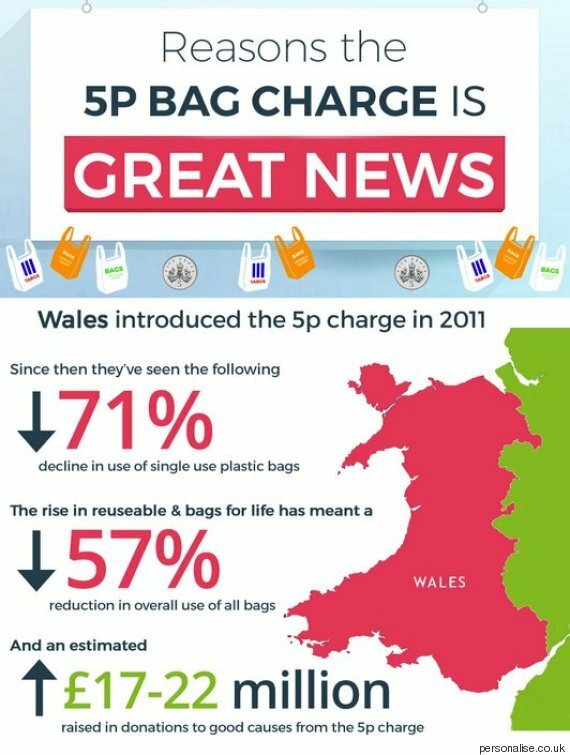 The children will also be interested in knowing that the number of single-use carrier bags handed out by shops in Wales fell by 71% since the charges were introduced. What Hannah didn’t tell the children is how this money is used. The charge has raised between £17-£22 million which the retailers collected the tax are required to donate to good causes. Perhaps the children should ask their local retailers what good causes they have donated the plastic bag tax to. Wales may be leading the way with the plastic bag tax, but Rwanda, one of the poorest countries in the world, is doing even better. When visitors arrive at Kigali airport they see a large sign reading, “Use of non-biodegradable polythene bags is prohibited”. Read more about this here and in the Guardian here. 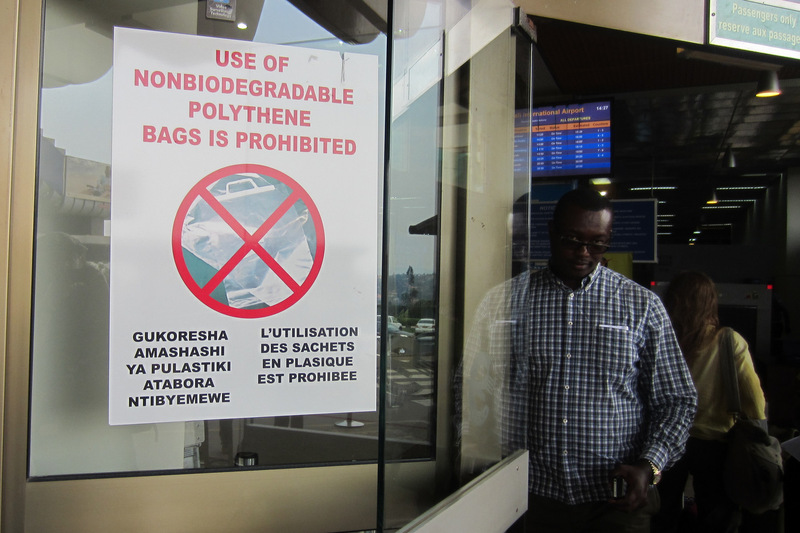 To see a country like Rwanda implement and carry out the plastic bag ban is ground-breaking. If Rwanda can do it, anything is possible, all we need is the political will. Rwanda is showing us that we can move towards living in a world without plastic. 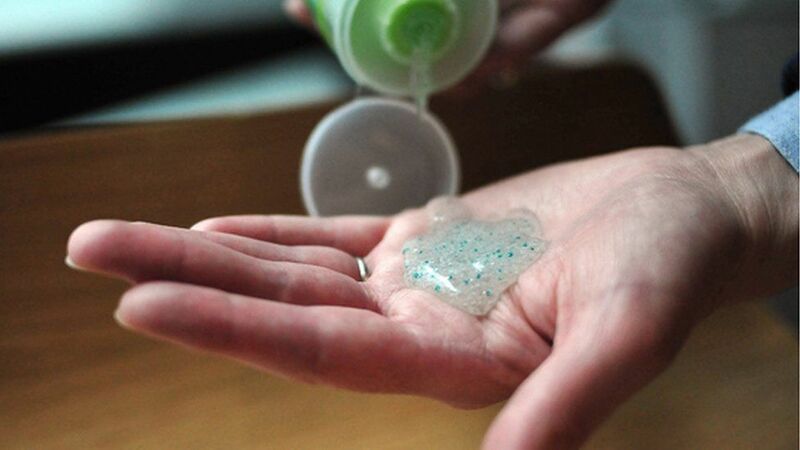 “Microbeads are tiny pieces of plastic that are in some types of soaps and bathroom products. Because they are very small, they wash down plugholes and end up in the sea. The ban will be on both the manufacture and sale of products containing microbeads”. 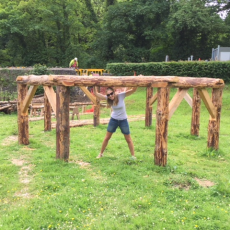 We think Hannah has opened up a great opportunity for the children to learn about Dŵr Cymru/Welsh Water because it is different from the other water companies in the UK. Welsh water is a not-for-profit water company. That means they don’t have shareholders expecting to make money from their investment, which means that every single penny the company makes goes straight back into keep water bills down, looking after our water and the environment. Dŵr Cymru is the only water company in the UK to work in this way. 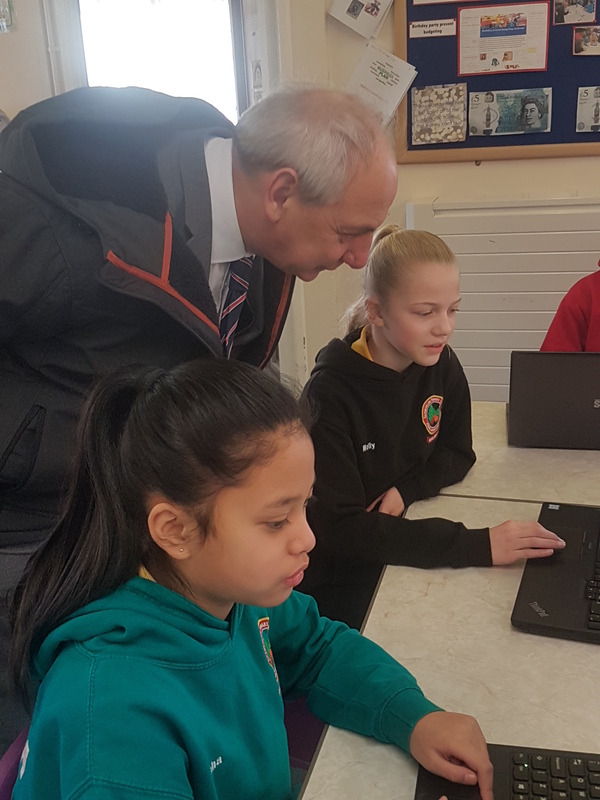 All children and young people in Wales should learn how we get the most vital resources in the world – water – and how different companies go about managing it. 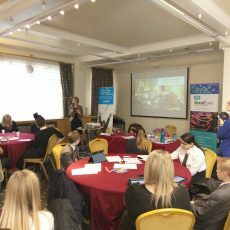 Hannah told the children she is working closely with the UK Government, the Scottish and Northern Ireland governments to develop a bottle deposit system. 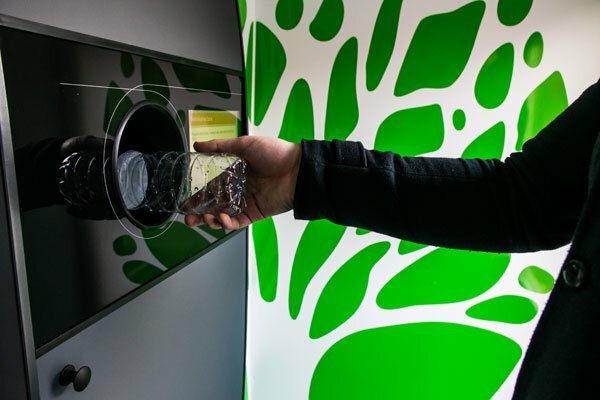 This means all plastic bottles will include a deposit that will be returned when an empty plastic bottle is brought back. The children at Glyncollen will be very pleased to hear this. 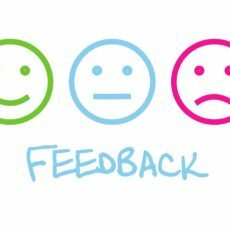 A returnable bottle scheme was suggested by a child on Pupil Voice and was highly rated by the pupils. The Welsh Government is working with the UK Government on a new plastics tax which would also help to reduce plastic pollution and to increase recycling. 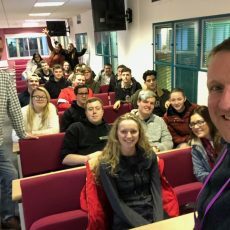 This provides another opportunity for young people to understand how taxation can work to help protect the environment – important information for young citizens. What a journey these young people have started on. 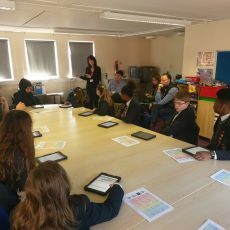 From adding ideas to their school’s Pupil Voice platform, to rating and prioritising reducing plastics they have developed a campaign, got the attention and support of the Environment Minister and been given support and advice for taking their campaign forward. 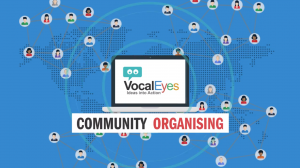 We think this is participatory democracy in action – which is what the VocalEyes platform has been designed to support. We want to thank the children at Glyncollen for responding so productively and enthusiastically to the challenge of making a difference in their communities. 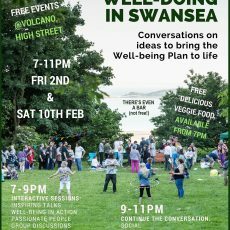 Let’s spread the word and get these campaigns replicated all over Wales and the UK.